Being ranked as the fourth-worst country for religious intolerance out of 198 nations in April 2017, it is high time that the claims of “unity of diversity” are crosschecked in every nook and corner of India. This ranking was done a Pew Research Canter’s study. The state of Kashmir has been affected by geographical and political conflict between India and Pakistan for decades. The state has also seen a forced displacement of one community by another. The census of 2011 shows that the state has a population of 12,541,302 comprising of 6,640,662 males and 5,900,640 females. The state of Jammu and Kashmir comprises of three geographical divisions viz, Jammu, Kashmir and Ladakh. Different languages are spoken in the state and people have different religions. The Jammu region has a majority of Hindu population, while Kashmir, also known as Kashmir valley has Muslims and Ladakh has a majority of Buddhist population. The Kashmir valley lies within the Pir Panjal and the western end of the Great Himalayan ranges as a deep asymmetrical basin surrounded by mountains. The valley has a multi-lingual and multi-racial population. People conform to different traditions in dress, manner and customs. From the dawn of history Kashmir valley has been a religious centre. Major religions like Hinduism, Buddhism, Islam and Christianity flourished in the valley, but living in harmony. The beautiful valley of Kashmir has been the epitome of peace, intellectual advancement and above all religious diversity and coexistence. The notion of “Kashmiriyat” emerged out of socio-cultural and historical ties that bind all Kashmiris regardless of religion, into an independent social collective. For any discourse on Kashmir, it is important to understand the concept of Kashmiriyat. Different scholars have defined Kashmiriyat differently. The idea of Kashmiriyat can be traced back to the 13th century, when the main religions of the valley- Hinduism and Buddhism- encountered Islam. The process of assimilation of various ethnoreligious traditions and beliefs created a new culture. Kashmiriyat was understood and explained as a synonym of cultural void and religious significance. For a long time, this term represented a binding force between the peoples of various religions and cultures. For many, Kashmiriyat was also the mainstream definition of shared religiosity between Hindus and Muslims. Madan (2009) writes that composite culture has been a reality of Kashmiri life and this lived reality came to existence through the interaction between people of different faiths. For centuries, people from different faiths lived together in Kashmir; their religious affiliations never affected their sense of belongingness to each other as a Kashmiri. Sufis played an important role in the spread of Islam in Kashmir. T.N. Madan (2006) writes that the concept of purity of Islam was not emphasised by them. 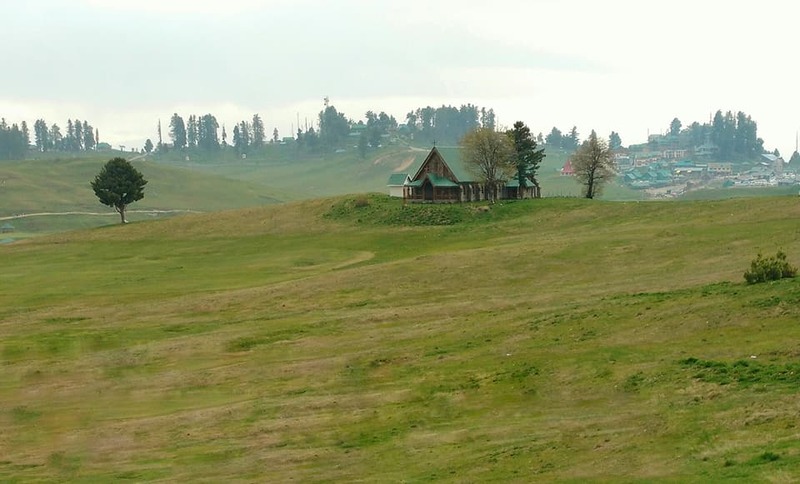 The beliefs and practices of Kashmiris that were developed over the centuries under the umbrellas of Buddhist and Brahmanical traditions have also impact on the local Islamic beliefs and practices. In conclusion, it is not incorrect to say that the socio-cultural phenomenon of Kashmiriyat evolved as a representation religious tolerance with Suifs and Rishis playing important roles. With the rise of militant extremism in Kashmir valley in the early nineties, the age old traditions of tolerance, harmony and peace witnessed a major jolt. It not only affected the economy of the state but tremendously affected the socio-cultural fabric of the Kashmiri society by creating a divide among the various religious communities. However, in the Muslim Majority Valley of Kashmir, Sikhs and Christians decided to live, as against what the Kashmiri Pandits did i.e. migration during 90’s. It has been established that the religious minorities living in the conflict hit regions develop a sense of alienation and insecurity. They by virtue of being neutral to the conflict as far as their involvement in the armed conflict is concerned are always at the receiving end. The situation has been found grave when an armed conflict is purely fought on religious lines by the members of the majority community. The Christian community in the valley remain under the threat mainly due to the very fact that their minority status in this context did not necessarily mean small numbers but a feeling of being threatened. The threats given by the religious leaders of the majority community to the Christians warning them not to indulge in any conversion practice. Often accused of conversions among the majority population, the Christian community issues remained unattended mainly due to two reasons. The first reasons could be the urge to remain a silent population by way of avoiding raising concerns regarding their issues so that the majority community does not feel their presence hence they avoid being targeted by them. The second reason can be the non serious attitude of government towards the socio-economic development of religious communities living in Kashmir valley. With no voice coming out from the community, the government has allowed them to face issues of identity, security, equity resulting in a state of fear and uncertainty. In the absence of safe environment and squeezed space for socio-political dialogue between the communities, the minorities especially the Christians have ceased since long to be part of any socio-political discourse. Therefore avoiding being on the other side of the ideology. With more and more emphasis on continuation and establishment of schools, the christian community organisations try to be non controversial in a situation and environment which is highly influenced by the Islamic ideology. Clearly, the history of Christians and other religious/ethnic minorities’ presence in Jammu and Kashmir has not received sufficient scholarly attention; and the ongoing conflict in the region (as well as the conflict between different communities in India) somehow seem to be contributing to creating further challenges for the hope of harmony in Kashmiri society. Therefore, today the need is not just to inquire such issues deeply but also to find ways to respond to them with utmost caution.